Idaho Capitol Building with US and Idaho flags. 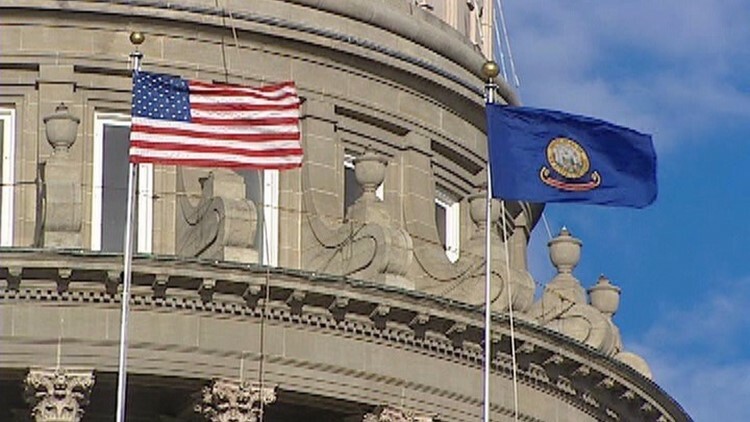 Idaho voters are set decide several major races, including electing a new governor and new member of Congress. Voters throughout Idaho will go to the polls on Tuesday, Nov. 6 to decide a number of federal, state and local races, as well as two statewide ballot initiatives. Three of the top races will seat someone new in positions that are, for the first time in years, without incumbents: Five candidates are vying to replace Gov. C.L. "Butch" Otter, who is not running for a fourth term; Voters will elect the state's first-ever female lieutenant governor to replace Brad Little, who is running for the state's top seat; and a crowded field of eight candidates are challenging for Idaho's First Congressional District seat, vacated by outgoing Rep. Raul Labrador. All voters in the state will also be given the opportunity to weigh in on two ballot propositions, one that would authorize historical horse racing machines at certain locations, and another that would expand Medicaid eligibility in Idaho to fill the so-called healthcare gap. Below is a look at all of the federal and statewide races, as well as the two propositions and a full list of all legislative races. A county-by-county rundown of all the local races and issues can be found here. Visit our Idaho Voter Resources page to find your polling place, check your voter registration status and much more. For a look at all of our election-related stories, take a look at our Voter Guide page. An initiative authorizing historical horse racing at certain locations where live or simulcast horse racing occurs and allocating revenue therefrom. VERIFY: Is Prop 1 an unlimited expansion of gambling? VERIFY: Where would Idaho historical horse racing money go? state racing commission and investment by state treasurer of fund monies; directs state racing commission to promulgate implementing rules; declares act effective upon voter approval and completion of voting canvass; and provides for severability. Shall the above-entitled measure proposed by Proposition One be approved? A YES vote would approve the proposed law to allow historical horse racing in Idaho. A NO vote would make no change to Idaho's current law. An initiative to provide that the state shall amend its state plan to expand Medicaid eligibility to certain persons. VERIFY: What would Prop 2 do for Idaho? Relating to Medicaid; amending Chapter 2, Title 56, Idaho Code, by the addition of a new Section 56-267, Idaho Code, to provide that the state shall amend its state plan to expand Medicaid eligibility to certain persons and to provide that the Department of Health and Welfare is required and authorized to take all actions necessary to implement the provisions of this section; and amending Section 56-262, Idaho Code, to provide a correct code reference. Shall the above-entitled measure proposed by Proposition Two be approved? A YES vote would approve the proposed law to expand Medicaid eligibility in Idaho.